Conveniently located hotel in the business centre of Prague, nearby the "Municipal House" ("Obecni Dum") and the main Prague shopping boulevard "Na Prikope". 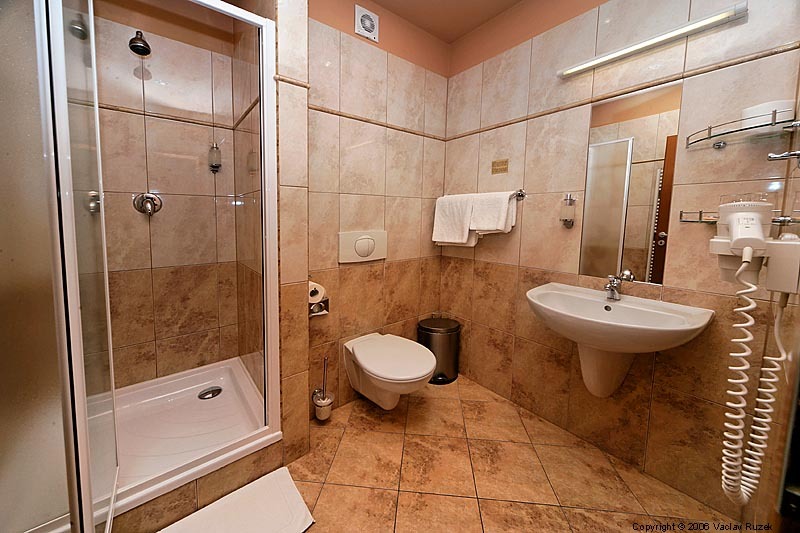 You can reach Wenceslas Square, The Old Town Square on foot within several minutes. For its location it is an excellent point of departure for walks through the historical centre and main sights. 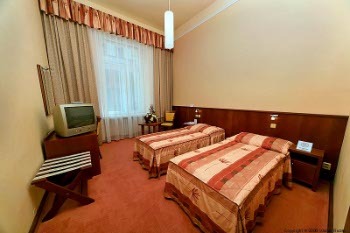 For its location is hotel Atlantic an excellent point of departure for walks through the historical centre and main sights. 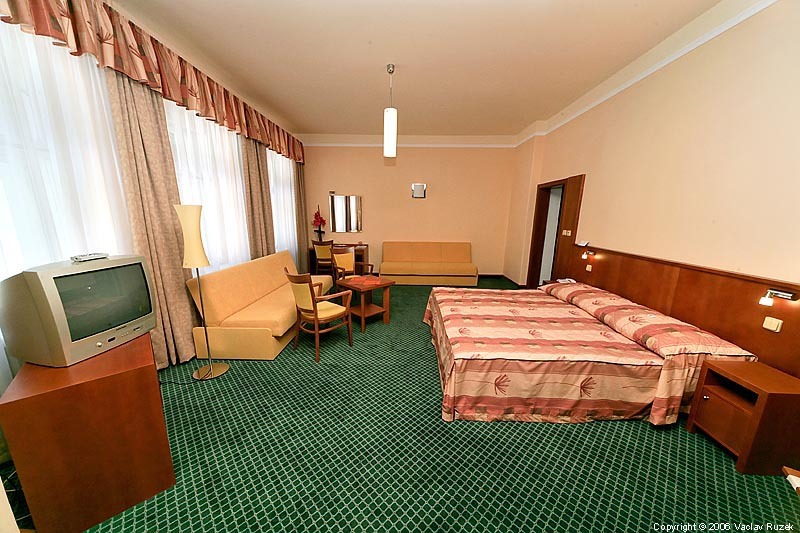 The tradition of the Hotel Atlantic dates back to the 17th century, when it functioned as a roadside inn called the "The Green Ox" with several guestrooms. 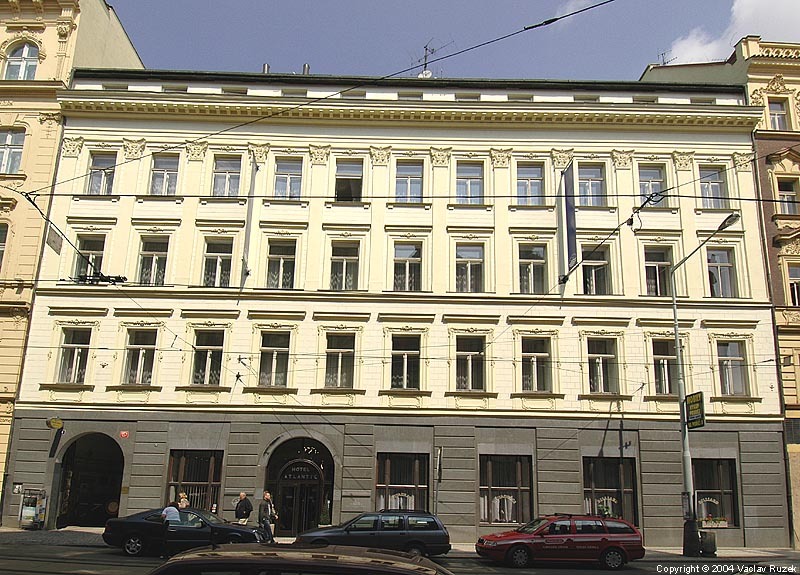 In 1845 the first engine arrived at today's Masaryk Railway Station and the inn was rebuilt as a hotel and renamed "The English Court", as many Royal and other prominent guests stayed in its spacious, comfortable rooms. 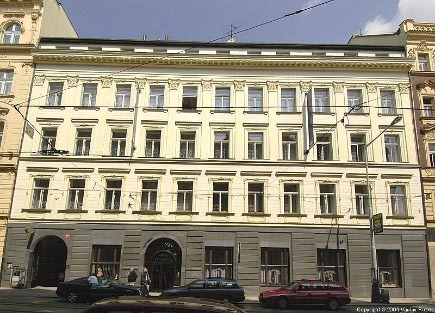 In 1935 the hotel was reconstructed and gained with its new look its present name "The Atlantic Hotel". The Hotel Atlantic has 62 comfortable rooms on four floors, some with access for disabled people. Spacious rooms are equipped with newly refurbished bathrooms with shower and toilet, writing desk, TV with satellite reception, Wi-Fi internet access, safety deposit box, direct-dial telephone, hair dryer and some with mini-bar. Guests will find not only good service but also a warm and friendly atmosphere - second home on your travels. 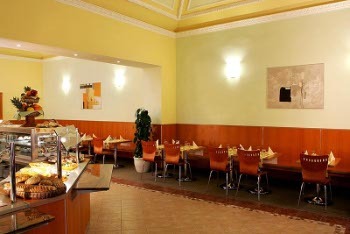 On the ground floor is located restaurant Fiesta where is served breakfast each morning from 7:00 till 10:00 a.m. 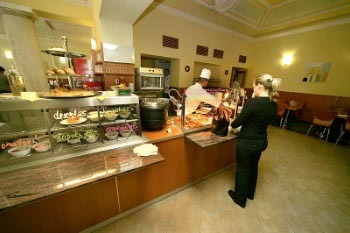 The restaurant offers also lunch in the form of a buffet. 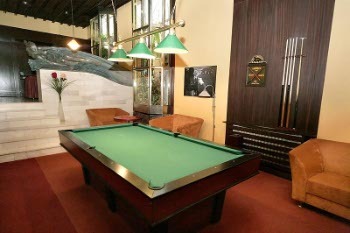 Hotel offers also a cosy lobby bar with billiard and winter garden. You will find here a large selection of alcoholic and non-alcoholic drinks and cocktails. It is an ideal place for an afternoon coffee break as well as for a lovely evening meeting with friends. For lovers of good smoke we have a selection of premium Cuban cigars, supplied by official Habanos importer. 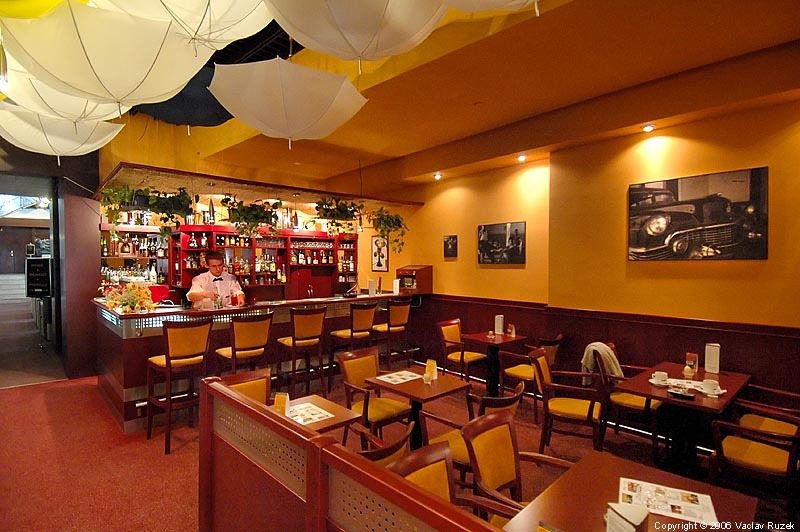 The lobby bar is open from 11:00 to 23:00. 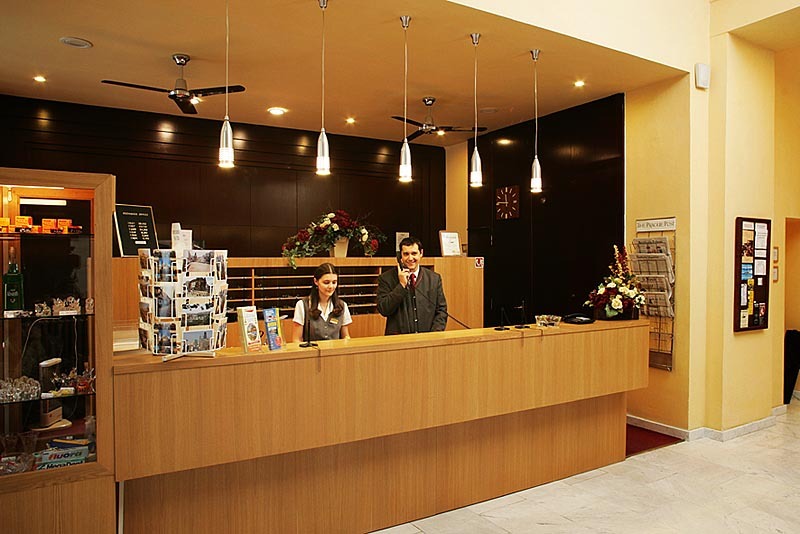 Reception with non-stop service offers all usual services as booking of sigtseeing tours and excursions, tickets to opera, theatre and shows, flight confirmations, photocopy and telefax service, newspapers, souvenirs, postcards and many other necessities are available. 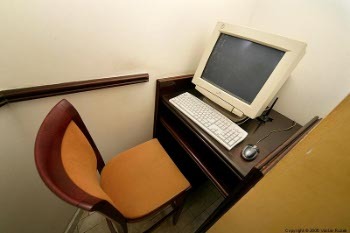 Computer with internet access is at disposal free of charge in the reception area and all hotel is covered by Wi-Fi internet access. The hotel is equipped with two elevators. We can arrange a wide range of events, such as parties, banquets, conferences, and more. 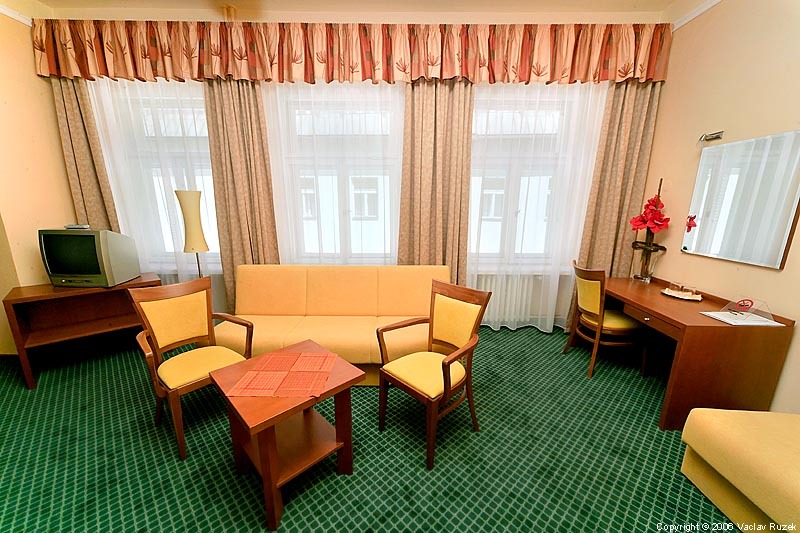 The rooms are equipped with new communication and interpretation systems. 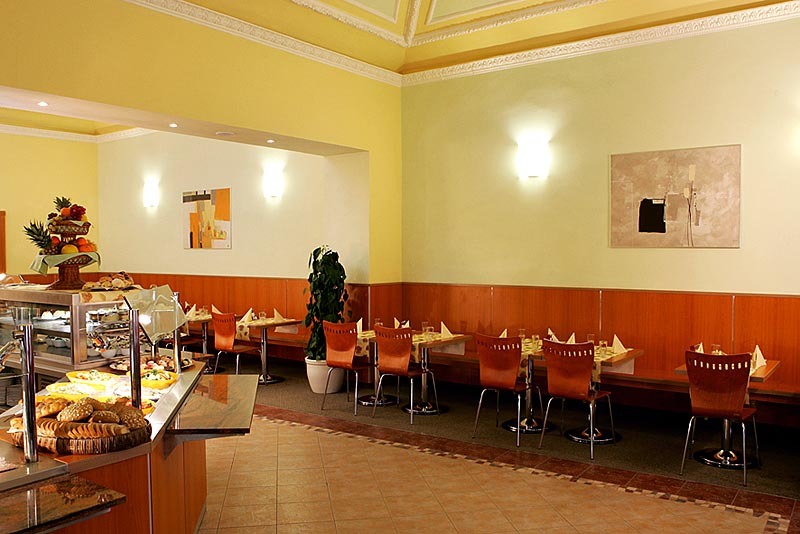 The banqueting room is situated in the back wing of the hotel, where quiet atmosphere is ensured. 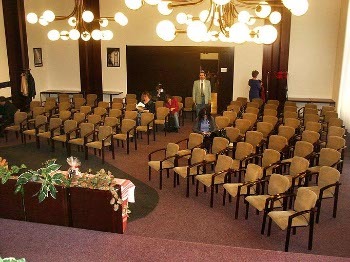 The large room accommodates up to 100 people. The small one is comfortable up to 25 people. We are able to arrange coffe breaks with menu. Prices include buffet breakfast, VAT and all taxes. Parking in the hotel courtyard ... 20 EUR /day. Dog . . . 12 EUR /day. Child under 4 years in parents room free of charge.